Tiffany Renee Carter, PA, also works here under supervision by abortionist Robert Hindes. See documents below. Colorado physician assistant license for Tiffany Renne Carter, PA. Carter works at Healthy Futures abortion clinic in Englewood, CO. Abortionist Stephen Hindes is her supervisor. exas physician assistant license for Tiffany Renee Carter, PA. Carter works at Healthy Futures abortion clinic in Englewood, CO. Abortionist Stephen Hindes is her supervisor. 2013 Colorado corporation filing for Healthy Futures abortion clinic. Colorado medical license for Stephen Robert Drag Hindes, MD. License is valid through 4-30-2019. Note Hindes supervises physician assistant Tiffany Renee Carter, PA, who works at Healthy Futures abortion clinic. Long version of Colorado medical license for Stephen Robert Drag Hindes, MD. 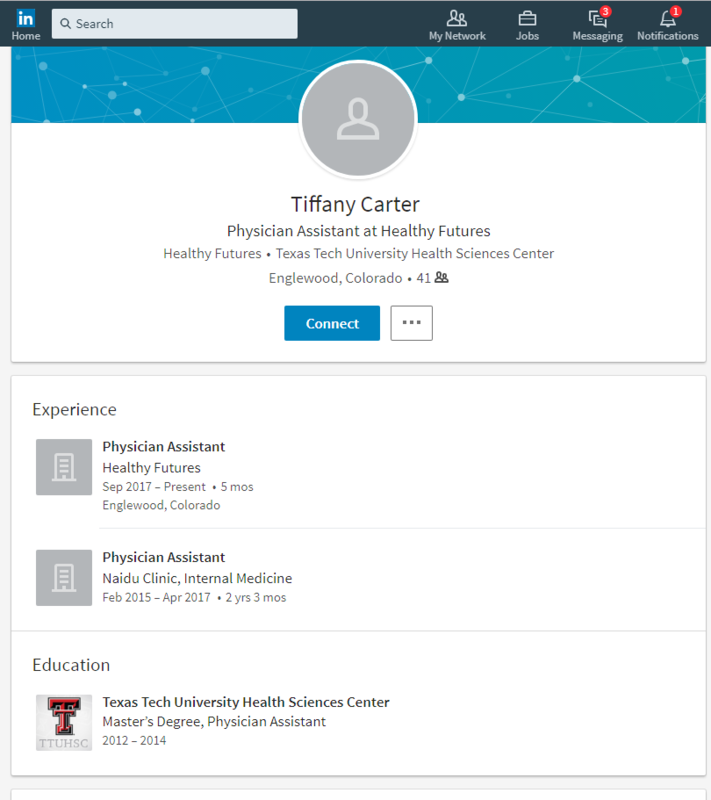 LinkedIn profile for Tiffany Carter, PA. Carter works at Healthy Futures abortion clinic in Englewood, CO. Abortionist Stephen Hindes is her supervisor. 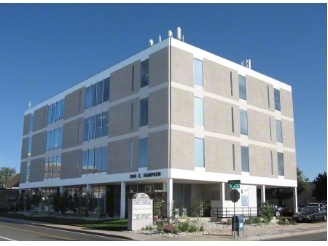 Colorado corporation filing for Hindes Properties, LLC., owned by Stephen Robert Hindes.